Home / What is Self-Care? 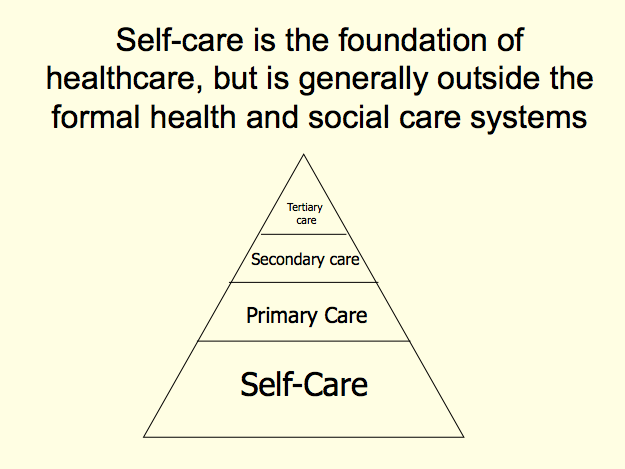 / Why is Self-Care essential today? And the trend is getting worse with deaths from lifestyle diseases projected to increase by 15% globally by 2020. The United Nations in 2011 held meetings in Moscow and in New York to discuss the challenge of lifestyle diseases. Normally the responsibility of the World Health Organisation, this was only the second time in history that a high-level UN meeting was dedicated to a health topic, the first being HIV/AIDS in 2001. One driver for the U.N. engagement was that the economic impact of lifestyle diseases is so great that this demands a broader-than-health approach. Total global health expenditure amounts to about 10% of global GDP (World Bank), and this would increase unsustainably if the lifestyle disease epidemic proceeds at current rates. The challenge is not just millions of premature deaths, but also deaths of people in their prime in economic terms (prior to age 60). Half of those who die of lifestyle diseases are in the prime, representing a huge financial cost to society in lost productivity. The World Economic Forum and Harvard Medical School published a report on the Global Economic Burden of Non-Communicable Diseases in 2011. They found that over the next 20 years NCDs would cost more than $30 trillion, representing 48% of the world’s total GDP in 2010, and pushing millions of people below the poverty line. The U.N. meeting recognised that focusing solely on treating lifestyle diseases would not be a sufficient or desirable approach. Lifestyle diseases are in fact preventable – up to 80% of heart disease, stroke and type-2 diabetes, and over a third of cancers could be prevented by eliminating shared risk factors, particularly tobacco use, unhealthy diet, physical inactivity and the harmful use of alcohol. In May 2013 the World Health Assembly endorsed the WHO Global Action Plan for the Prevention and Control of NCDs 2013-2020. The Global Action Plan provides countries, international partners and the WHO with a road map and menu of policy options to tackle NCDs. Nine global targets have been set for 2025, including an overall reduction of 25% in the mortality from NCDs. Specific targets include a 10% reduction in prevalence of insufficient physical activity, a 30% reduction of salt intake and of tobacco use, and a halt in the rise of obesity. These challenging targets can only be met through the adoption by people of healthier lifestyles – in other words, through self-care. Evidently, self-care is essential!